Over the fall we are launching our new brand Spilhuset. With this new brand we are combining all of our strengths under the same name. We will provide sports betting, slot machines, virtual races and many more solutions under one banner. 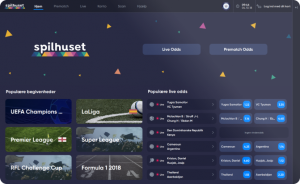 For starters we have launched our new betting application under the brand, and will soon roll it out all over Denmark. Version 1.0 of our betting application.